Morning.. Busy week at work, but I have been in the UK which always makes a change... and means I get to do some crafting in the week as well! I loved the style of my Less Is More card on Saturday so much I thought I would make another one.... love this colour and the font so much! I'll have plenty more cards to show you over this month.. managed a mega crafting session the other day! Soooo gorgeous. 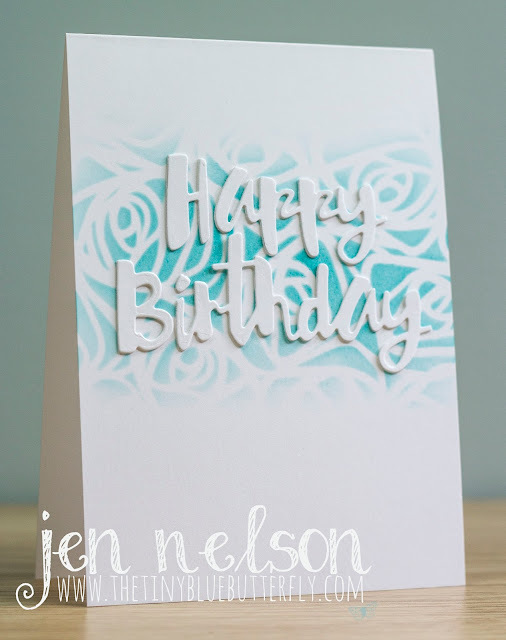 I just love all of your cards, and really like how this one is simple, eye catching and a beautiful layout. Fab! Another stunner, Jen. Turquoise and white just work and I love the simplicity of your entries this week.